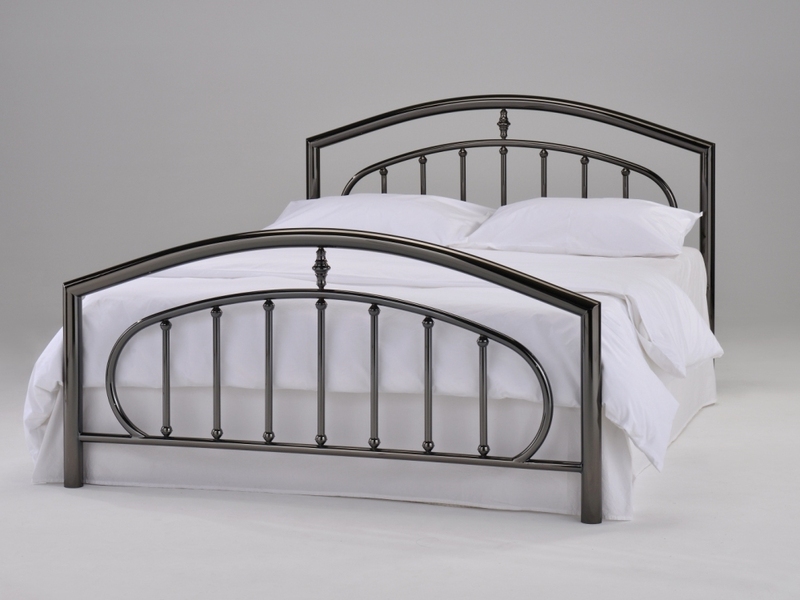 Manufactured by highly accomplished bed designers Lavish Beds, the Emma bed is a luxury bedstead made from polished metal, with a distinctive curvaceous shape. With a rounded high head board and an echoing foot end, this luxury frame oozes high class elegance and style. Brightly polished, this sturdy frame is durable as well as fabulous to look at. The shape of this bed ensures that the mattress stays firmly in place throughout the night, while the raised header gives adequate support for sitting up and relaxing in bed.